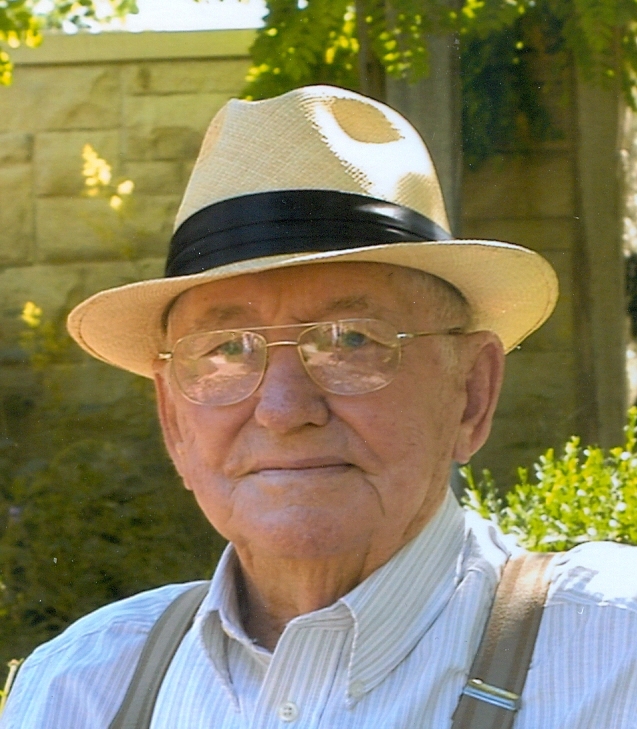 Herl Wilburn Burden, 94, a longtime Liberty resident, passed away peacefully on October 15, 2018, at Our Lady of Mercy Country Home, where he lived for the past five years. Visitation will be held from 6-8 pm Thursday, October 18, and a service celebrating Herl's life will be held at 11:00 am Friday, October 19, all at Park Lawn Northland Chapel, I- 35 at State Route 291, Liberty. Burial will follow in Glenridge Cemetery. In lieu of flowers, memorials are suggested to Our Lady of Mercy Country Home. Herl was born June 7, 1924, in West Plains, MO, the youngest of four children of Omer and Amanda (Callahan) Burden. Along with his parents, Herl was preceded in death by his wife of 59 years, Norene (Woody) Burden; sisters, Elsie Bengtson and Ruby Taylor; and brother, Merl Burden. Herl served in the US Army during World War II from 1944 until receiving honorable discharge in 1946. He retired as an assembler for Kenworth Truck. Herl was a member of Liberty Baptist Church. Survivors include his children, Carolyn Smith, Marcie Felix (Jim), Dennis Burden (Connie) and Kenny Burden (Lisa); seven grandchildren, six great grandchildren and numerous nieces and nephews. So sorry to hear of Herl's passing. May God bless the Burden family during this difficult time. I’m so sorry. It is such a hard time for all of you. Just know how many people were better for having known him. I know I was. He was loved and he will be missed. Words are not enough at a time like this. My heart, thoughts and prayers are with Herl's family. He was so proud of his family and I know why: you are all wonderful. I feel blessed to have known this wonderful and loving man. Many of the times I saw him at Dr. Granberg's office (I was her nurse) he was not feeling well but he always had a kind word for everyone. He was more concerned about others than himself. He is at peace now, and with his beloved Norene. God bless. We have known Herl for many years through Liberty Baptist Church and visiting with him at Our Lady of Mercy. He will be missed by all who knew him. Our love and prayers are being lifted up in this great loss by his family.